I Media Unleashed is a full service web design firm running a Virtual Office out of Vancouver BC. We specialize in Online Marketing to help give our clients a unique edge over the competition by providing a functional web application that works for them. The internet is an essential tool that every business needs to utilize and ensure that they engage their specific target market. Explore our website and we encourage you to contact us to talk about online marketing ventures that will help make your company more money. 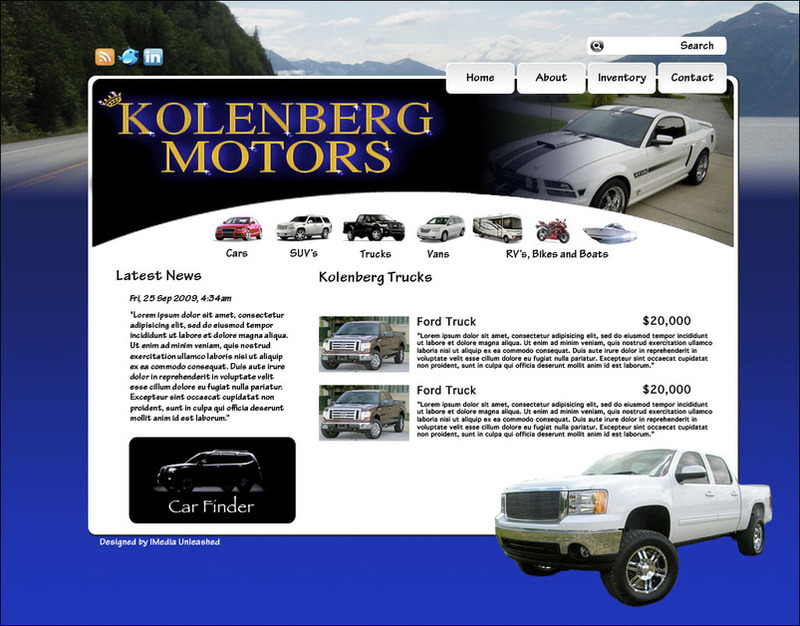 www.kolenbergmotors.com A car dealership on Vancouver Island, Fully editable custom Ruby on Rails CMS .